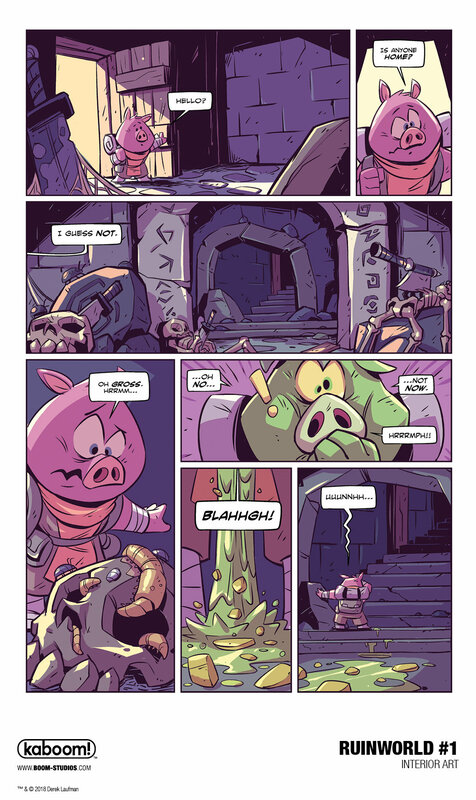 RUINWORLD #1, the debut issue of writer/artist Derek Laufman’s worldwide hit all-ages comics series at BOOM! Studios. Intrepid adventurers Pogo and Rex are on a quest for fame and fortune. Their discovery of a special map leads them on an epic journey through dangers, demons and old enemies. There’s one tiny problem—they’ve already lost the map. Now they’ll have to survive the greatest dangers of a world where threats hide behind every corner…if they can find a way to first survive each other’s best intentions first! 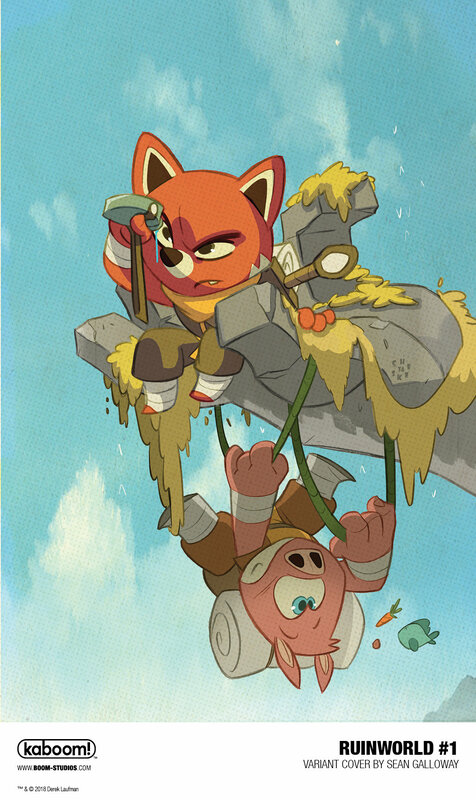 RUINWORLD #1 features a main cover by Derek Laufman (Adventure Time) and a variant cover by Sean Galloway (Teen Titans Go!). 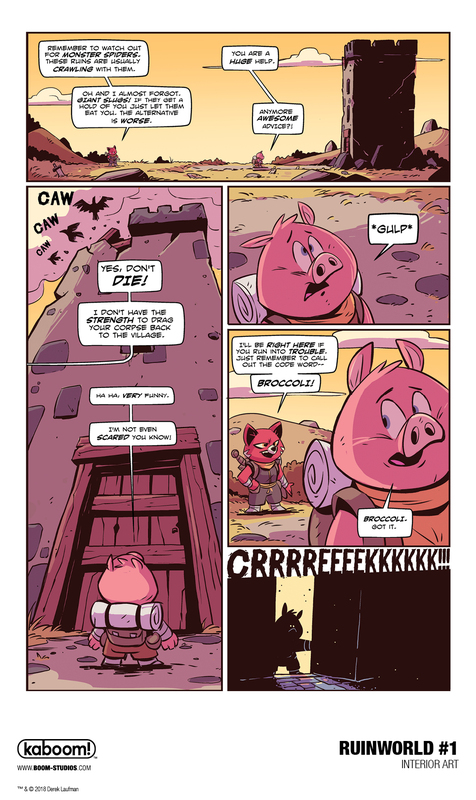 "In my new series RUINWORLD, readers can expect a fun and at times silly adventure, built around a fantasy world rich with history and lore,” said Derek Laufman. 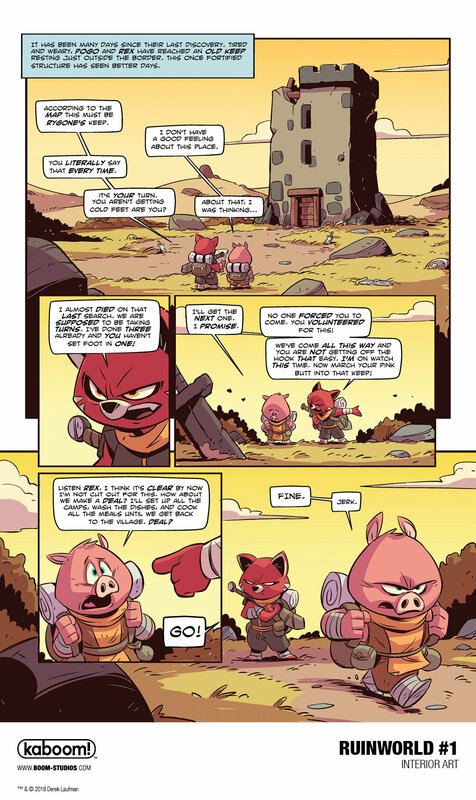 “RUINWORLD was created out of my love of fantasy worlds. Growing up with The Secret of Nihm, The Dark Crystal and The Neverending Story, my obsession with these rich fantasy worlds started as a child and continues to this day. When I set out to write a story I wanted to try and create a world that was full of magic and wonder like the stories I loved in my youth. When you build your own world the possibilities for story and character seem endless and that really excites me as a creator. I’m thrilled to be a part of the BOOM! Studios family and I look forward to working with them to bring RUINWORLD into the hands of readers around the world. " RUINWORLD #1 will be ON THE SHELF July 2018. Will you be checking out this new series? Let us know in the comment section below. Also, don’t forget to Like, Share and Subscribe to all things Constant Collectible so YOU can keep up to date with all the news and reviews from a world of GEEK CULTURE.